It has been a while since I've had a segment on here, back in the days when I first started Granite City Girl (when I had a sparkle in my eye and such hopes and dreams) I had so many segments, too many even, ranging from best buys and cookery posts to OOTD posts and tags (so many tags) and I binned 'em all! 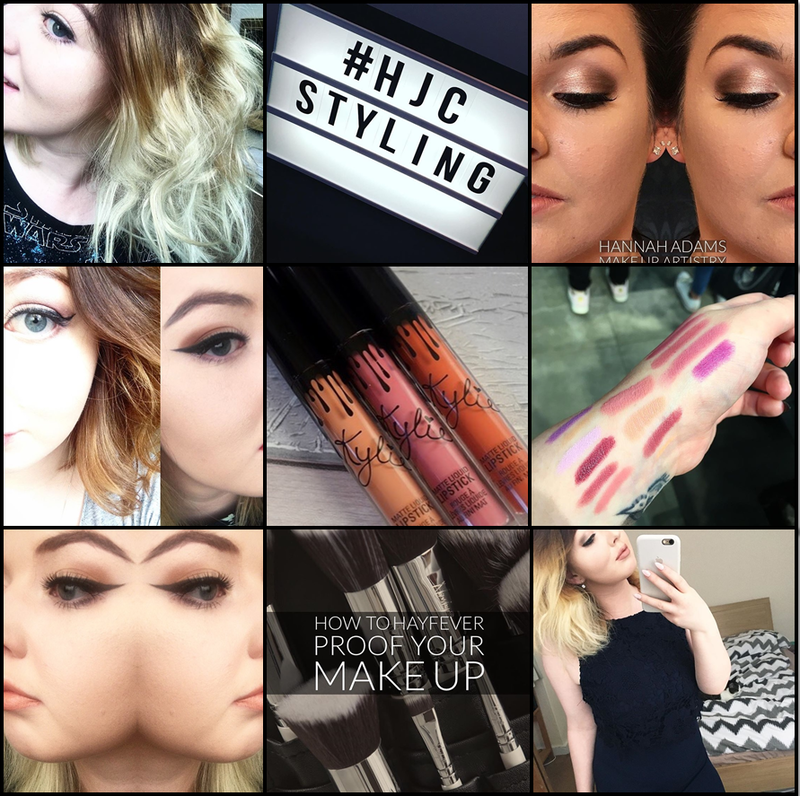 Recently however I've been getting much much more into Instagram and as my side panel just can't seem to keep up with my constant posts I thought I'd share some of my highlights right here! This month I changed my hair again and made sure to document the process on instagram - of course! #2. Feet are already sore but feeling fab at the @h.j.c.styling launch @theaberdeenmal. For the first time in forever I donned my heels for the launch of a brand new styling business which you can read all about right here. #3. Bringing a whole new meaning to golden eye with this look on the lovely Sara from a couple of weeks ago. I have been a busy little bee in the salon this month, between occassion and evening make up as well as wonderful wedding guests and this look has been my favourite by far! #4. How times have changed, I love a good then and now make up transformation pic. I love a good look back and nothing makes me happier than seeing just how much my make up artistry skills have improved - particularly in only a year! #5. Over on the blog today I reviewed AND swatched some of my newest @kyliecosmetics lip kits including #exposed #posieK and #22. You'll have seen just how obsessed I have been with these lip kits right here and on Instagram. In fact you can read that review right here. #6. Popping in for an impromptu browse @maccosmetics @unionsquareaberdeen where I helped @93hayleym buy her FIRST EVER MAC Lipstick and liner. As I'm on a spend ban I thought I would offer my skills and services to those in need! I succeeded and then some I tell you! #7. Flicks oan and I'm ready to start the day @blushhairaberdeen. #8. Also coming this week to the blog! Hayfever season - need I say more! Read my top tips to manage hayfever meltage right here. #9. After painstaking hours of watery hayfever eyes and pulling on Spanx I am wedding guest ready! @banchorylodge I'm coming for you! I was lucky enough to be a wedding guest at Banchory Lodge hotel (beautiful, beautiful venue) and I can only say I wish I looked like the above when I eventually got home! Until next time folks, these have been my July-lights.